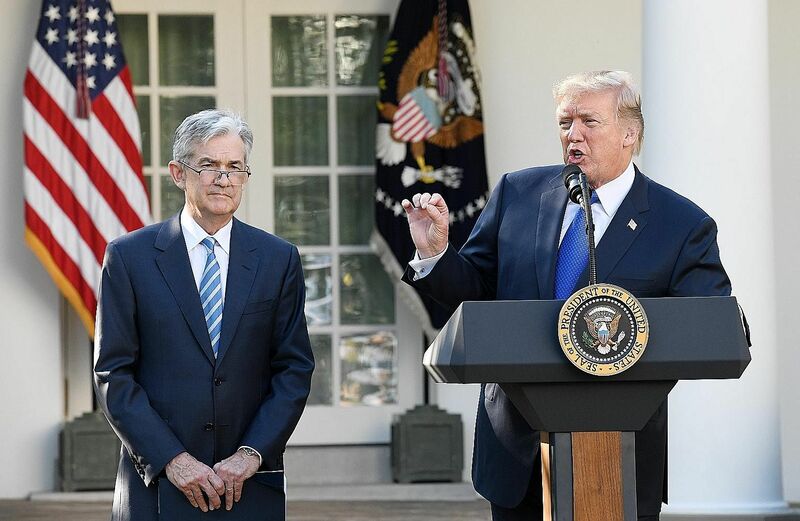 There was a big sigh of relief all round when President Donald Trump nominated former investment banker Jerome Powell to be the next chairman of the United States Federal Reserve. Considering Mr Trump's record for doing the unexpected, there was always the chance he would pick an iconoclast to shake up the Fed. For once, he did not make waves, settling on a Washington insider with consummate establishment credentials. Mr Powell had once been considered a long shot for Fed chairman and the media painted him as a continuity candidate, a safe pair of hands, so to speak. Indeed, The Guardian newspaper even scoffed that what Mr Trump wanted was a Republican without particularly strong views on monetary policy. Someone who would continue with the incumbent Dr Janet Yellen's softly, softly approach to raising rates and willing to roll back some of the financial regulations imposed after the global financial crisis a decade ago. By all those yardsticks, Mr Powell was the perfect choice, it added. Yet the likelihood is that Mr Powell may be tested in a way that Dr Yellen was never tested during her years steering the Fed. Dr Yellen's one-term tenure has been uneventful thus far - a period in which the US economy has grown while unemployment has fallen and inflation remained well below the targeted 2 per cent rate. What is more, without causing any real tremors in financial markets, she took the first steps towards normalising monetary policy by edging up interest rates and starting to roll back the massive quantitative easing (QE) programme unleashed by her predecessor, Dr Ben Bernanke, to fight the global financial crisis. With their mountains of foreign reserves, it is unlikely that Asian countries will again encounter the same type of crisis they experienced 20 years. But it would be interesting to watch Mr Powell's reaction if a financial crisis were to erupt in another corner of the globe other than the US. Mr Powell will be stepping into these shoes early next year once his appointment is confirmed - and some will say there is no better time than this to be a central banker when the economy is humming along, unemployment is falling and inflation is under a tight leash. But this may also be the most precarious period to be Fed chairman, given that the bull market is already 10 years old and Mr Powell has the never-before-accomplished task of unwinding a massive Fed balance sheet while not unnerving a market that has subsisted on cheap credit for so long. Worse, he has to carry out this herculean task against a backdrop of US corporate bond markets trading near record highs and major stock markets around the world hitting fresh peaks. So you can be sure to find doubters wondering if Mr Powell is up to it, not least because among other things, he would be the first non-economist to be Fed chairman since the brief and unsuccessful reign of Mr G. William Miller in the late 1970s. Not that an economist would do the job any better, with some noting that there were some undistinguished Fed chairmen who had been economists. Now, you may wonder why there is a big fuss over the appointment of the Fed chairman. It may seem like a largely American issue, but the fact is that the US economy remains the most important one in the world, the US dollar is still the world's reserve currency, and much of the world's trade is transacted in greenbacks. This makes the Fed chairman the most crucial player in the financial markets; his every decision will affect how US interest rates move and, by extension, how the greenback behaves. That, in turn, will have an impact on other currencies and financial assets. And this is what worries some market pundits about Mr Powell. As The Guardian observes, there is nothing in his CV or his time at the Fed to suggest he is anything more than a journeyman. Under Dr Yellen, he trod a cautious path, never publicly clashing with her and sticking to the same broadly dovish stance on interest rates. A lawyer by training, Mr Powell made a fortune in private equity. He had been nominated as a Fed governor in 2011, with former staffers noting that he spent his first year there working to bring himself up to speed on monetary economics. Better still, he is widely known to be a consensus builder, going along with the status quo and not ruffling any feathers. Given these traits, it could mean we are likely to get from Mr Powell more of what we have already seen in terms of policy in the past 10 years. That includes resorting to QE - namely, central banks expanding money supply by funding the debt issued by governments - at the first sign of any bursting in the stock market or recession and to keep inflation in check at 2 per cent or less. Now, if monetary policy is merely confined to a few tweaks to interest rates or printing copious amount of money via QE, Mr Powell will do just fine - and markets will have little to fear. But things may get trickier if a crisis lands from an unexpected quarter and Mr Powell finds that the tools he has in hand are insufficient to stop the wobble in the global financial system. That is not to say he is not aware of the possible problems he may encounter. As he told The Financial Times last year, "liquidity is OK" most of the time in most markets but "it may be more fragile and more prone to disappearing in stress situations". And just because liquidity-related incidents haven't had a significant impact on the real economy, that doesn't mean it won't happen, he added. In a crisis, however, it is not his words but the actions he takes that will count. 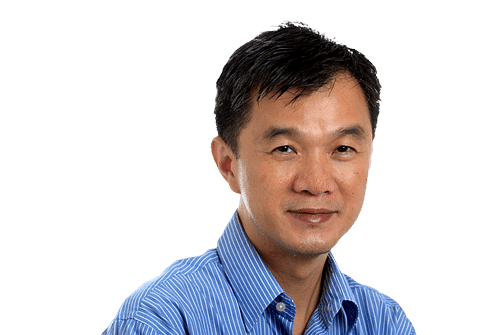 Those of us with long memories recall that during the Asian financial crisis 20 years ago, companies in the region had borrowed heavily in US dollars only to find themselves going bankrupt when their countries' currencies crashed against the greenback and they were unable to get fresh US dollar credit lines to service their debts. Worse, they were unable to borrow US dollars from their own local banks, which faced a similar shortage as their own countries' central banks were unable to act as bankers of last resort because the loans were made in US currency, not their home currency. The crisis eventually burnt itself out, helped in part by a loosening of credit by the Fed then headed by Mr Alan Greenspan following the implosion of the huge LTCM hedge fund in New York. However, Asian countries never forgot the humiliation they endured at the hands of the International Monetary Fund, which took away their economic sovereignty and demanded policy changes that plunged their economies into deep recession. Sure, we spend a lot of time worrying about issues such as North Korea or Brexit, but the most important development that will have a big bearing on our investments going forward is the appointment of Mr Powell as Fed chairman. Watch his every move carefully.